The Transformers franchise may very well be saved, as Bumblebee is apparently going to turn a nice profit. This, according to Viacom CEO Bob Bakish. Viacom is the parent company to Paramount, the studio in control of the Transformers franchise. While that’s good news for those who enjoyed Bumblebee, when looking at the numbers, his statement is a little bit confusing, at least on the surface and taken at face value. 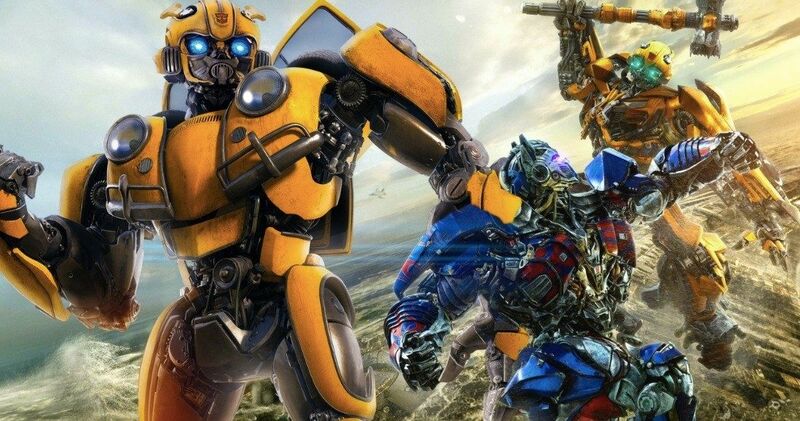 According to a new report, Bob Bakish specifically congratulated Paramount on Bumblebee, which will be “solidly profitable.” As of this writing, the 80s set Transformers spin-off, which was directed by Travis Knight (Kubo and the Two Strings) has grossed $308 million worldwide. While slightly smaller in scope compared to the previous movies in the franchise, the movie still comes with a hefty $135 million price tag. Most of the time, when a studio spends that kind of money on a blockbuster, they want to see a lot more bang for their buck at the box office, which is why his statement, in part, is a bit of a head scratcher. Let’s compare that to the previous installment, 2017’s Transformers 5: The Last Knight, the fifth movie in the franchise to be directed by Michael Bay. That movie took a steep dive when compared to its predecessor, Age of Extinction, bringing in $605 million worldwide, which is a full $500 million less than the previous installment. Bay’s critically-lamented fifth entry also cost an eye-melting $217 million to produce and grossed just $130 million domestically, meaning the lion’s share of that total came from overseas. That’s worth mentioning because, as important as overseas markets are, studios generally see less return on box office from foreign markets. Reportedly, The Last Knight wound up losing Paramount roughly $100 million when accounting for marketing expenses and everything else that needs to be recouped before a movie can turn a profit. Granted, Bumblebee still has a way to go before it wraps up its box office run, but it’s still likely going to wind up being the lowest-grossing in the series overall. As such, it’s difficult to see how it will be a solidly profitable endeavor for the studio. Then again, movie financing is very complex and we can only go off of what numbers are available to us through box office databases. There could be relevant factors we’re unaware of. In any case, this is probably good news, if the CEO of the franchise’s parent company is happy with the results. The key with Bumblebee is that critics and audiences alike embraced it, as the movie currently holds a 93 percent approval rating on Rotten Tomatoes. That’s far and away the best in the franchise so far. Ultimately, it’s that new direction and new life that could save the series moving forward. As long as Bumblebee isn’t a total financial disaster, Paramount is going to press forward with more Transformers movies in the future. This news was first reported by The Hollywood Reporter.